As you can see, there is no best strategy for every situation. 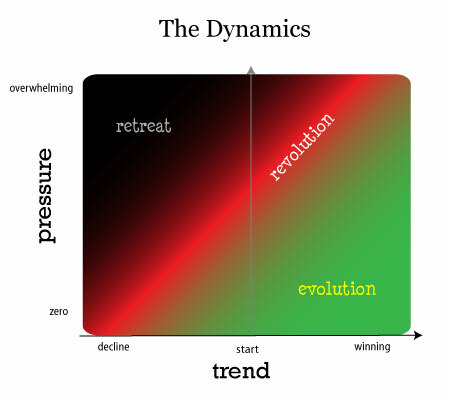 Evolution is the most preferable, comfortable and reliable strategy in the complex uncertain world. Few revolutionary ideas will be very successful, come at right time and have significant impact, but most will fail and fade. Most of our achievements are result of evolution than revolution. However, revolution could promote new disruptive ideas, solve fundamental problems and achieve radical shift and advantage. Retreat is a conservative and disaster preventing strategy. A software team can apply these strategies on different stages for different levels of the project. What can a team do to prepare for the better strategy? Experiment, make mistakes, acquire knowledge and shape skills. 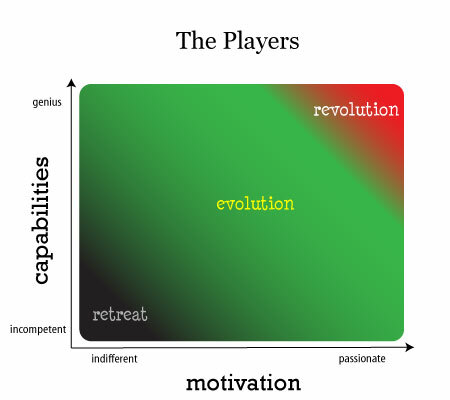 Consider personalities, group psychology, interests to make people energized and motivated to achieve success. 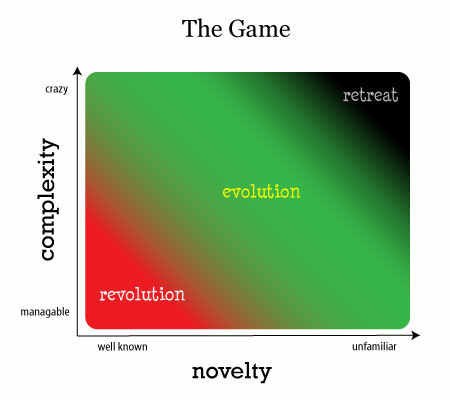 Learn – you cannot actively change the game, but you can learn the game and make it more predictable and manageable. Apply system thinking to understand core principles, relations and forces. Honestly evaluate existing situation without self-deception and blaming others. Innovate – strive for the new revolutionary ideas that could change the game or at least give you advantage (within tight project budget :)) Maybe new ideas will fail, but they will provide you with invaluable experience and increased capabilities of the team. 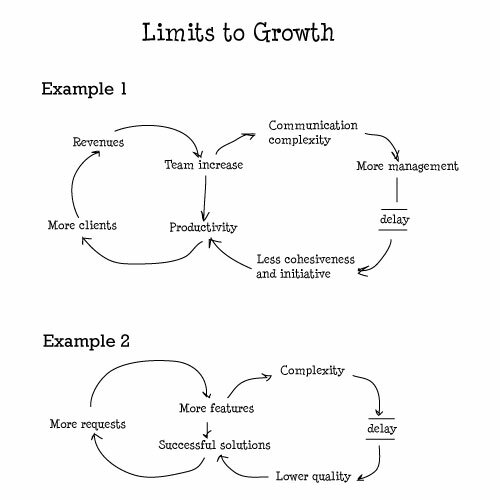 Remove limits to growth – every process have some bottlenecks that slow growth. Removal of these barriers allow to move faster with better results. Find your limits for growth and start eliminating them. Limits to growth: reinforcing process is set in motion to produce a desired results. It creates a spiral of success but also creates secondary effects which eventually slow down the success. Another method of finding fundamental problems is 5 Whys. The 5 Whys is a question-asking method used to explore the cause/effect relationships underlying a particular problem. Ultimately, the goal of applying the 5 Whys method is to determine a root cause of a defect or problem. A software team has power to change things, but external forces are very strong. 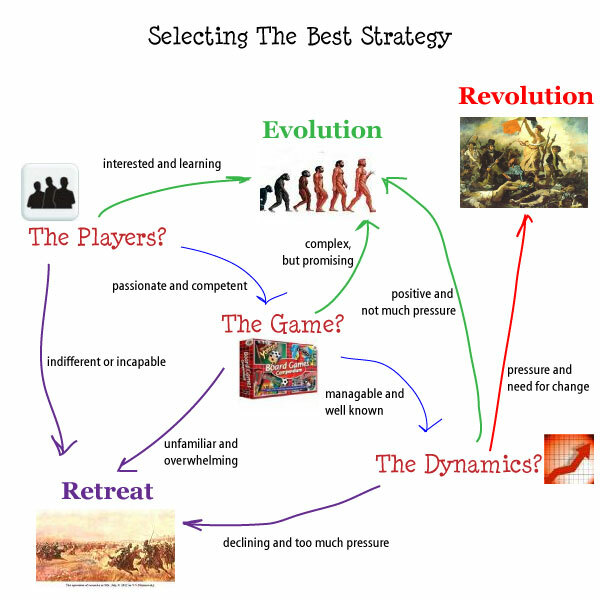 Three small case studies show dialectic of evolution and revolution. Cambrian period – environment triggers revolution within evolution. The Cambrian explosion was the seemingly rapid appearance of most major groups of complex animals around 530 million years ago. Before about 580 million years ago, most organisms were simple, composed of individual cells occasionally organised into colonies. Over the following 70 or 80 million years the rate of evolution accelerated by an order of magnitude and the diversity of life began to resemble today’s. Relatively small changes in the environment are considered one of the main reason for the explosion. One of them is increase in oxygen levels. Shortage of oxygen prevented the rise of large, complex animals. An increase in the concentration of oxygen in air or water increase the size to which an organism could grow without its tissues becoming starved of oxygen. Raise of complex animals triggered arms races between predators and prey that caused explosion of huge variety of animals shaped by natural selection. Many species become extinct that could be considered as an extreme version of retreat. 100 years ago hundreds of automobile companies competed and produced many revolutionary ideas – from steamed cars to battery powered vehicles. Innovation was rapid and rampant, with no clear standards for basic vehicle architectures, body styles, construction materials, or controls. Development of automotive technology was rapid, due in part to a huge number of small manufacturers all competing to gain the world’s attention. Revolution continued until gasoline-powered cars makers won with a cost effective design, standardized components and better mass production techniques such as an assembly line. After 1930, the number of auto manufacturers declined sharply as the industry consolidated and matured. Starting from 1960 nearly all modern passenger cars are front wheel drive unibody designs with transversely-mounted engine running on oil products. Fundamental changes in the game (ecology, fuel cost) seem to trigger a new revolution with gas-electrig hybrids, electric, fuel cells, biomass powered automobiles, but this is much smaller revolution than 100 years ago. From creation of the Internet in 1993 multiple search engines appeared and become popular and faded – Archie, Excite, Yahoo, Lycos, Infoseek, Alta Vista and many others. Search engines revolution produced many ideas. Yahoo created manual directory. Wanderer deployed web spiders. Excite brought statistical analysis of words. Alta Vista introduced natural language processing and Boolean operators. Inktomi popularized the paid-per-click model. However, Google won this revolution with Page Rank algorithm counting incoming links as votes with different degree of authority. After adding profitable business model based on pay-per-click AdWords service, Google become unstoppable – 70% of searches in United States with constantly increasing share. Can anybody beat Google in search? Evolution won’t help here – revolutionary ideas are needed. 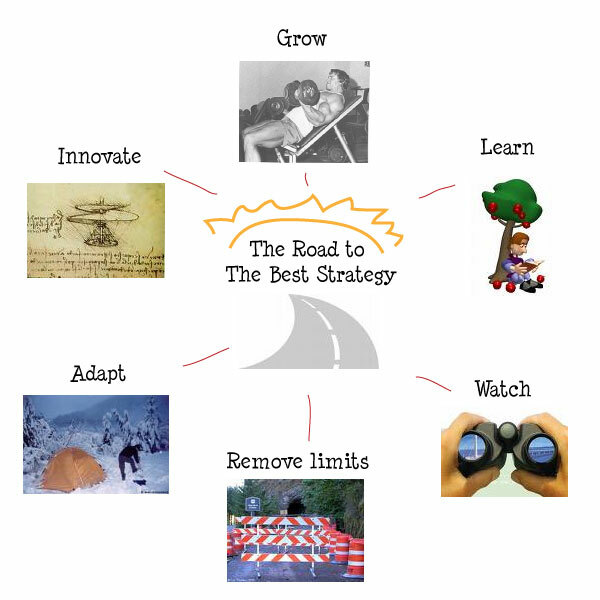 I don’t know what is the best strategy for your team – there are so many factors to consider. But I know, your team will win if players honestly recognize reality, pragmatically select present strategies and move to enable the best strategies for achieving success in this complex world. Currently I’m experiencing a situation where the team doesn’t strive to learn from mistakes and tackle root cause of problems (pareto analysis). The same problem will always repeat in the near future and different players will have to tackle it again. It is as you wrote, from The Players graph, if the other players is incapable and indifferent and resisting any change that is brought upon them. It is better to “retreat” by switching to other development team (if there is another team) so that all the negativity doesn’t have time to take hold in you.